Owners of small township spaza shops have a number of challenges in common, but thanks to one of the finalists in the Chivas Venture competition, many of their problems are becoming a thing of the past. Marketing and branding expert, Tim Strang, and digital marketing expert, Byron Verreyne, formed Spazapp, a company that makes use of app technology to link the informal and formal economies. 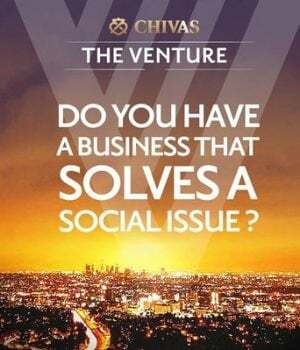 Spazapp is one of five finalists in the 2018 Chivas Venture Competition. They are each competing to win a share of $1 million, and the chance of a lifetime to represent South Africa in Chivas Regal’s Venture 4 finals to be held in 2018. “Spaza shops are often the only source of goods for people living in the townships,” says Verreyne, whose work in a digital marketing agency opened his eyes to the potential of small virtual networks. “But they are expensive, because their owners don’t have access to the bulk buying discounts, free delivery or bargaining power that large retail chains can command. He explains that the app groups together spazas that are in close vicinity to one another. The Spazapp goes further than just buying products. It is also coupled with a virtual wallet, through an association with MasterCard and Absa that allows the storekeeper to pay for his order. Verreyne and Strang says the boost they would get if they win the Chivas Venture competition would catapult them to the next level – and change thousands of lives at the same time.